This Raksha Bandhan, celebrate the bond differently by motivating and supporting her. 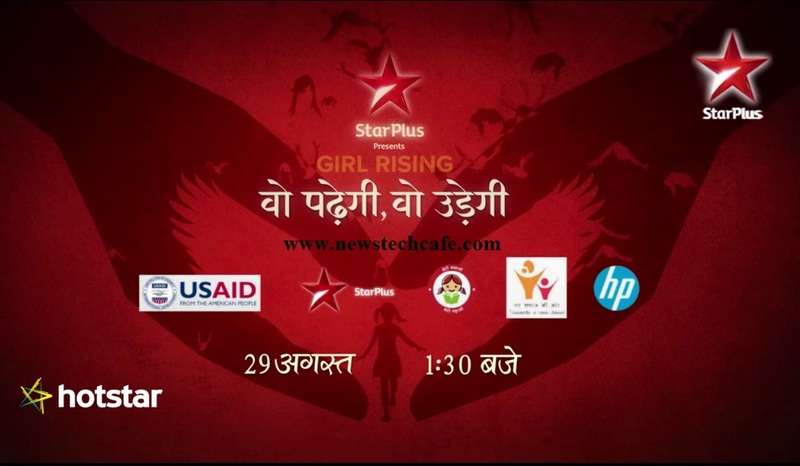 Watch the film Girl Rising: Woh Padhegi Woh Udegi on 29th August at 1:30 PM, on STAR Plus. This Show based on a 2013 film by Academy Award nominee Richard E Robbins that narrates the stories of eight girls across Afghanistan, Egypt, Ethiopia, Haiti, India, Nepal, Peru and Sierra Leone and their fight to overcome impossible odds to realize their dreams. Star India will also be appealing to people to empower the nation’s girls by increasing public attention, raising awareness, engagement and eliminating gender disparity. The film is the centrepiece of Girl Rising’s national campaign for girls’ education and empowerment that uses storytelling to raise awareness and ignite people to take action. Both Chopra and Pinto are also producers and ambassadors for ‘Girl Rising – Woh Padhegi, Woh Udegi’. The film is in association with PM Narendra Modi’s ‘Beti Bachao Beti Padhao’ campaign. The campaign is powered through partnerships that include USAID, HP, Intel, Star TV and Ministry of Women and Child Development’s Beti Bachao, Beti Padhao Abhiyan.